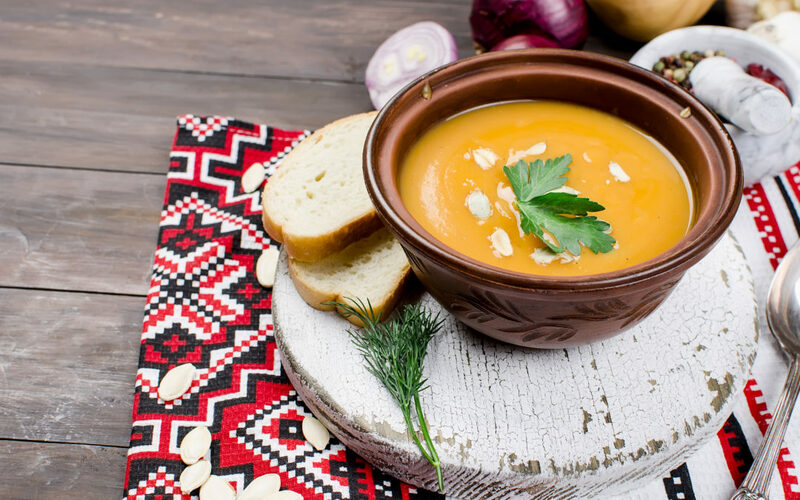 How to Eat Like a Yogi: Plus Enjoy this Yogi Soup Recipe! We all know that when we don’t nourish our bodies with good foods, we don’t have the energy to do everything we want to do. Sometimes we don’t even know how to get in tune with what our bodies need. Enter the yoga practice. Yoga helps us connect to our bodies in a much deeper way. It helps us tune into what makes us feel good during our practice and what makes us feel bad. We notice a difference in our practice when we’ve lived on junk food (yes, even vegan junk food!) instead of eating yogic foods. So what are yogic foods? In general, they are anything that isn’t processed (or very low processing), organic and local (where possible), and fresh. I like to eat foods that come in a variety of colors (naturally). After returning home from leading my last yoga teacher training in Costa Rica, I remembered how much better I felt when I was fully nourished with whole foods. If possible, take some time to journal about what you ate (without judgement) and note how you felt for the rest of the day. It may seem daunting to eat this way but, with some practice and planning, it can become second nature. Besides, who wants to spend their life with lackluster energy, excess weight and lack of motivation due to eating not-so-good foods? Is it really worth it? At first, focus on one meal per day, like breakfast. Ready to get started? Grab a pen and get these ingredients down into your shopping list and try it out this week! Cut butternut squash in half lengthwise. Scrape out seeds with spoon. Oil baking sheet and place squash face down. Add carrots and potatoes to pan. Roast at 400 degrees for 40-60 minutes or until cooked through and soft. While cooling, chop onion and garlic. Saute in oil until lightly golden and cooked through. Take out of oven and cool. Blend in high-speed blender with 1 cup broth. You can leave some out of the blender for a chunkier soup. Add blended mixture to soup pan. Add spices and coconut milk. Continue cooking for 15 minutes. Serve immediately with crusty bread and optional coconut cream on top!